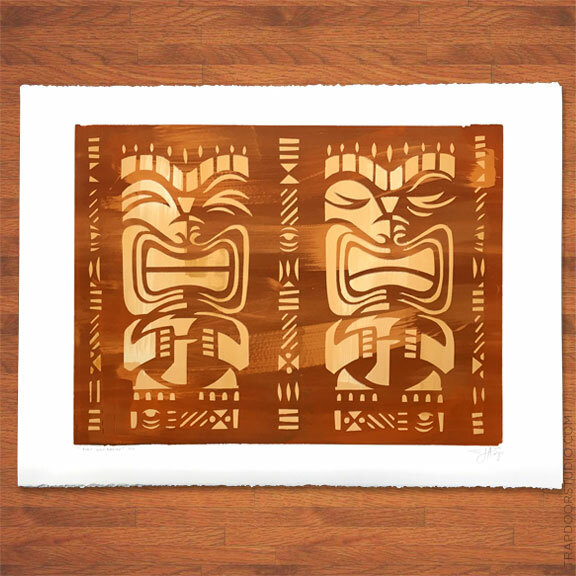 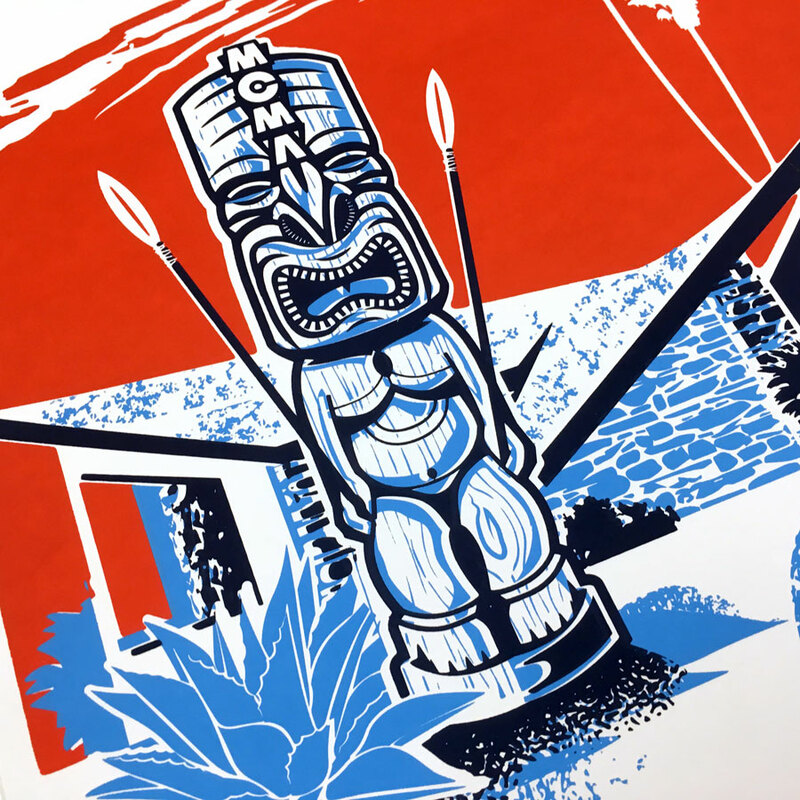 Midcentury Modern Ranch and Tiki style all rolled into one. 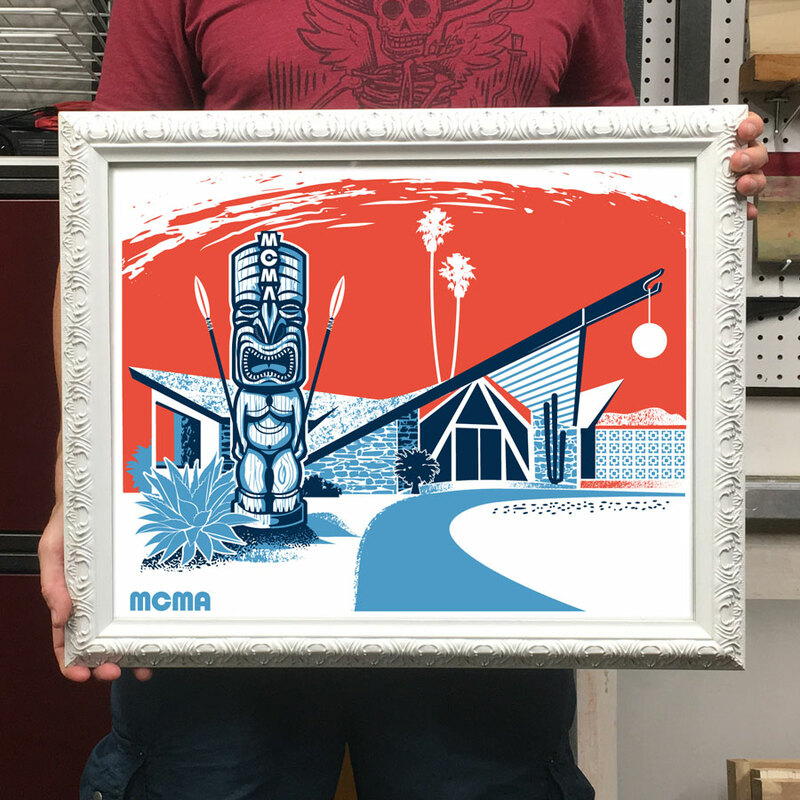 The first in my MCMA (Midcentury Modern Arizona) print series. 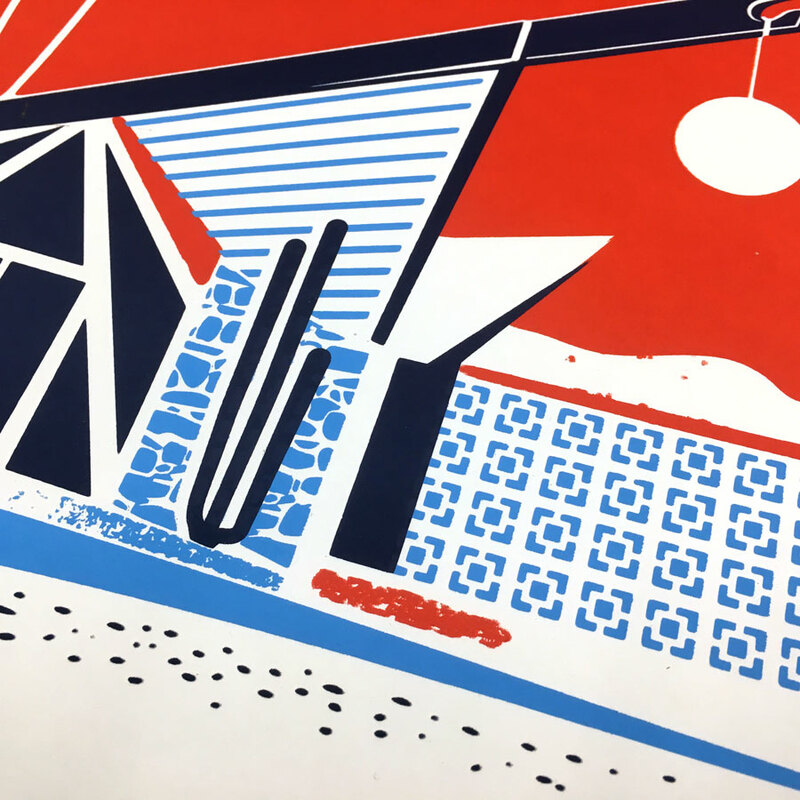 Little details like southwestern plant life and Haver block patterns abound in this true Arizona Modern print series. 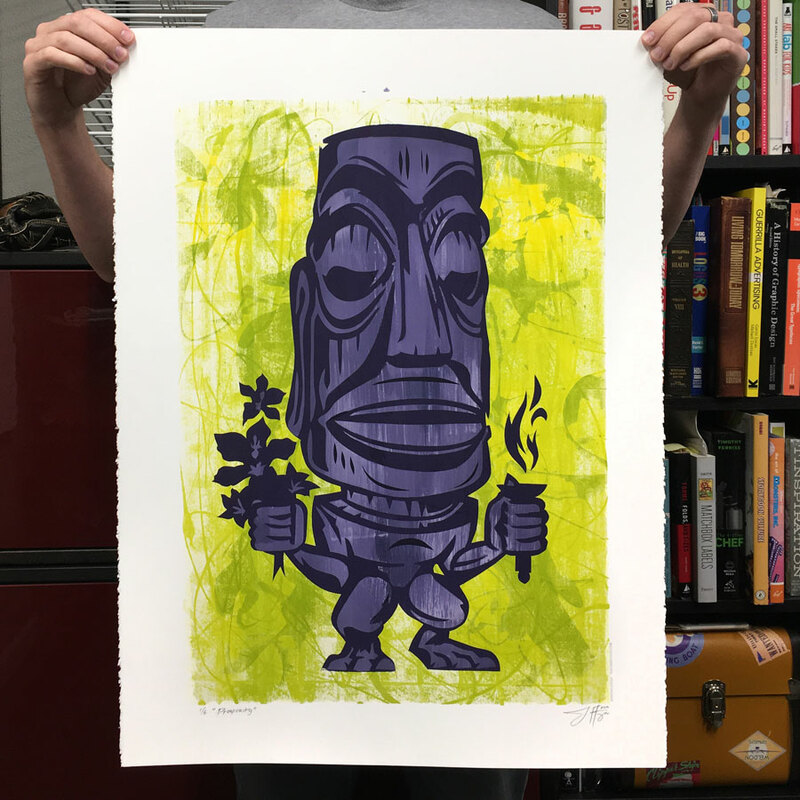 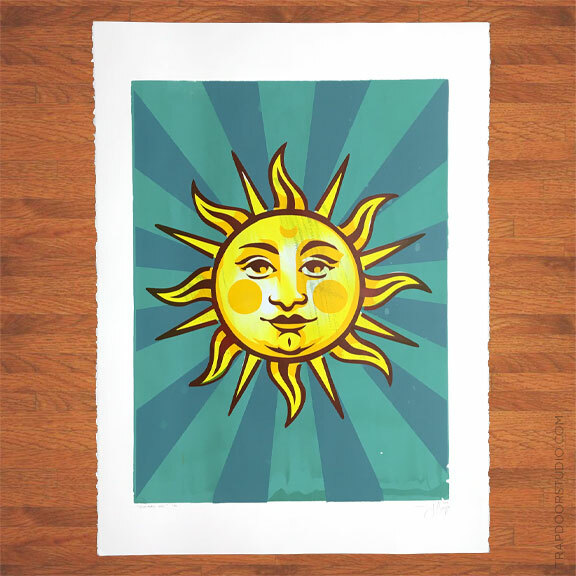 Handmade Screenprint Edition of 30.